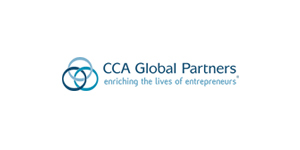 The Lighting One cooperative began in 2001 when the group joined CCA Global Partners. At the time, the cooperative had only 40 member locations. The Lighting One cooperative is independence empowered. Lighting One is a division of CCA Global Partners, an organization comprised of 13 brands, most of which are other cooperatives in the home products category. This cooperative business model has empowered thousands of entrepreneurs to succeed in a marketplace that is impacted by widespread consolidation. Before, a customer may have gone to a big box retailer to find new lighting, but they can now visit a Lighting One affiliated showroom and receive exceptional service and selection, along with that hometown feel that they want. The money they spend goes back to the local economy, instead of some big, overarching corporation that’s headquartered in another state. The cooperative’s mission is to empower entrepreneurs and independent business owners by providing scale, resources, and innovation to create sustainable growth and effective competition in today’s evolving lighting marketplace. A small showroom can now compete against those bigger stores by providing specialized service, better selection, and expert knowledge. Homeowners and builders can come back again and again for any fixture that’s needed for a house, office, or other commercial location. There are more than 2,800 retail stores in North America and abroad that benefit from CCA’s leadership. Yours could be the next!